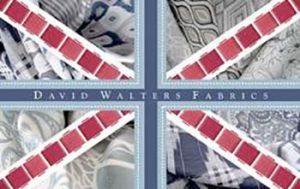 HRH The Princess Royal visits David Walters Fabrics and Stephen Walters & Sons. 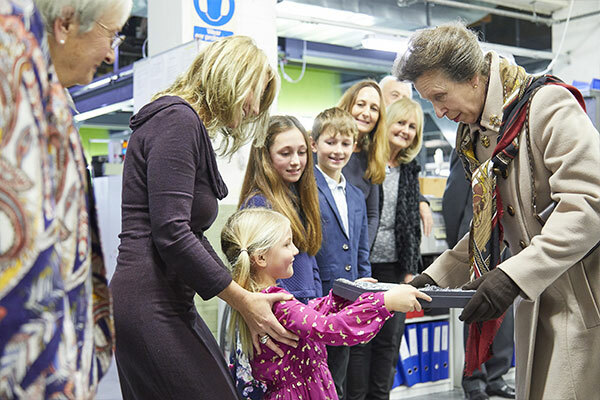 Katherine Winterton and HRH The Princess Royal. 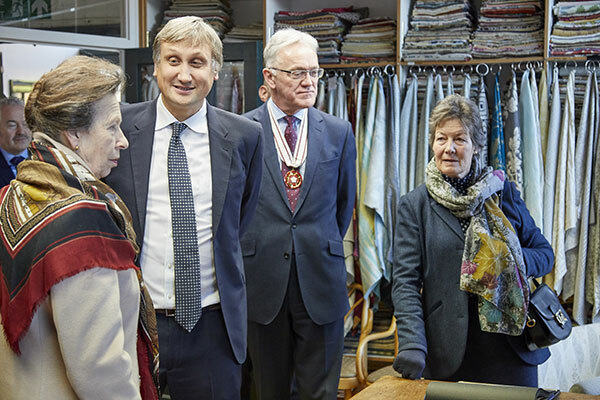 On Tuesday 19th December we were delighted to welcome HRH The Princess Royal, President of the UK Fashion and Textiles Association, to David Walters Fabrics and Stephen Walters & Sons. 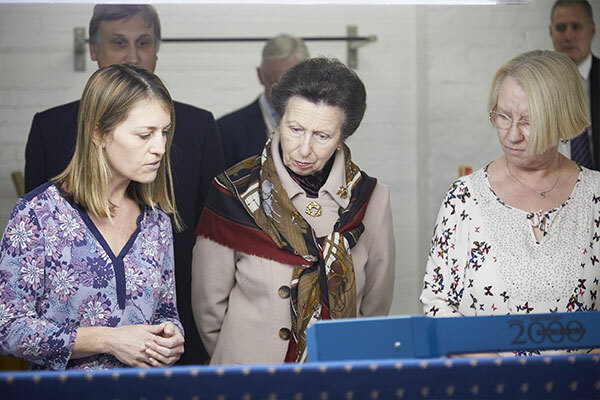 During her visit, the Princess spoke with various members of the team and was given an insight into all aspects of our business, from sales and design through to dyeing and production. 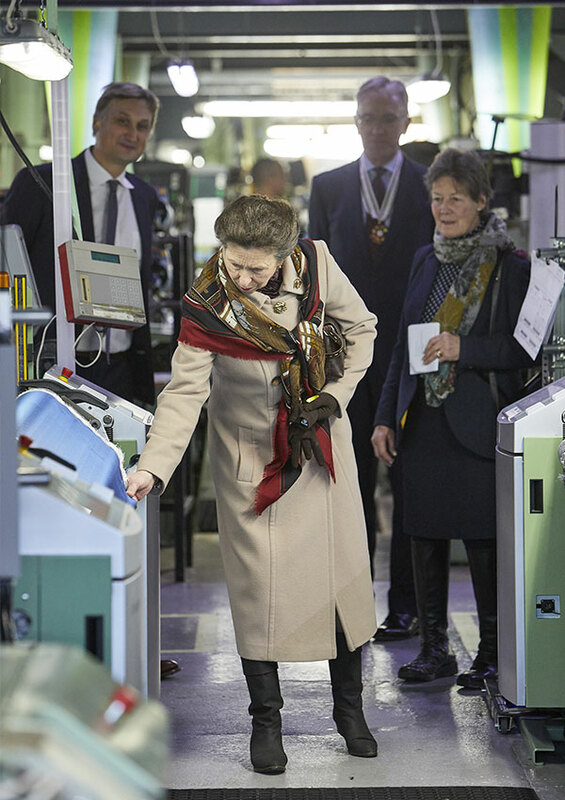 Julius Walters, Managing Director and the tenth generation of the Walters family to run the business, accompanied the Princess Royal on the mill tour. He showed first-hand how our historic company is investing in it’s future with the latest technology. 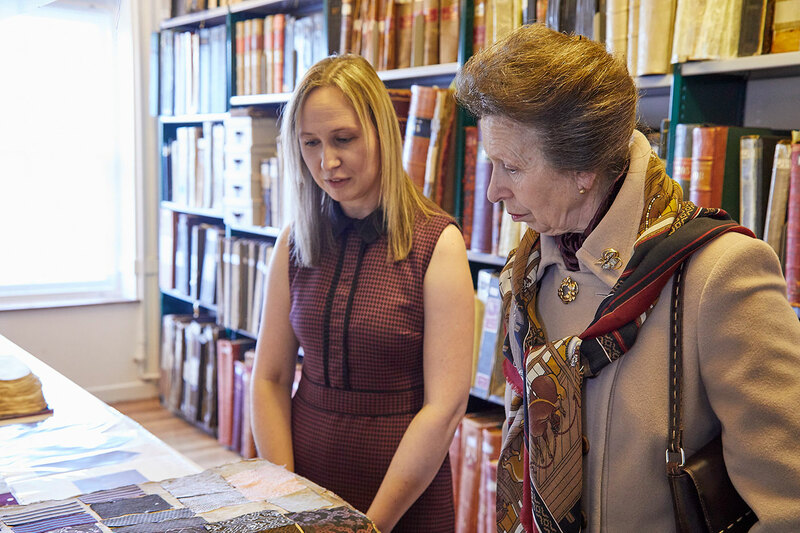 This Royal visit marks the latest connection between our historic mill and The Royal Family. Our company operates as a forward-thinking business that rises to the challenges of the 21st century while drawing on our prestigious 300-year heritage. HRH The Princess Royal with Managing Director, Julius Walters. Accompanied by Deputy Lieutenant Mark Pendlington and HRH’s Lady in Waiting. 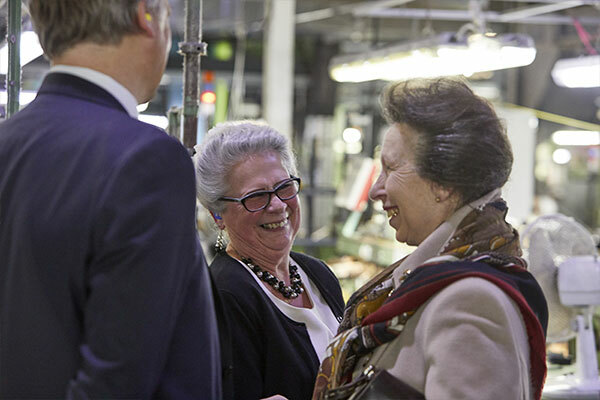 Margaret Long, one of our weavers, sharing a moment with the Princess Royal. Julius Walters, HRH The Princess Royal, Deputy Lieutenant Mark Pendlington, HRH’s Lady in Waiting. Clare Edwards, HRH The Princess Royal and Marleen Murray in the inspection room. HRH is presented with a silk and cashmere scarf to commemorate the visit.